If you’re in the process of planning out your Alaska summer vacation, it’s well worth your time to look into some of the state’s top summer festivals. From celebrating summer solstice to all things bluegrass music to a good, old-fashioned state fair, there are an assortment of festivals and summer happenings that are sure to be fun and memorable additions to any travel itinerary. If your travels bring you to Anchorage on June 18, you’re in luck. This festival takes over part of downtown Anchorage, on 4th Avenue between C and L Streets from noon to 6 p.m., in celebration of summer solstice. For Alaskans, this official peak of summer (which actually occurs on June 20) is a big deal. It’s the day of the year when Alaskans experience the most daylight—a total of 22 hours! Enjoy the Taste of Anchorage Food Zone, the Hard Rock Café Music & Beer Garden, Kids Play Zone and the Midnight Sun Skate Jam, an event featuring pro skateboarders. Further north, the city of Fairbanks, Alaska, hosts its own summer solstice celebration, and with nearly 24 hours of daylight, Fairbanks residents have even more solstice sun to bask in. Check out the June 19 festival, from noon to midnight, and catch live music performances, local food vendors, artists and other family activities in Alaska’s second-largest city. The small, Kenai Peninsula community of Ninilchik is a few hours drive south of Anchorage and is transformed during the annual Salmonfest music festival, drawing thousands of people looking to enjoy a weekend full of great music. Salmonfest boasts four stages for live performances across the three-day festival, from August 5-7. Grammy-winning group Indigo Girls will headline this year’s Salmonfest. In addition to an impressive lineup of Outside and local Alaska bands, Salmonfest is also the perfect place to indulge in good food served with locally-crafted brews. In the Matanuska-Susitna Valley community of Palmer, an hour north of Anchorage, the Alaska State Fair attracts thousands of visitors from all over the state every August-September. 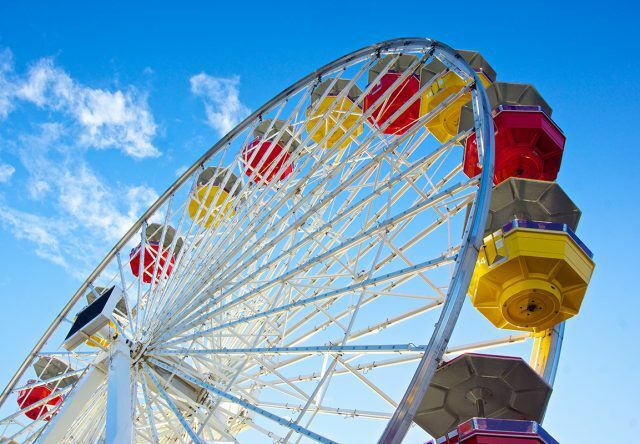 From local vendors, artists, animal exhibitions, concerts and of course, fair food, it’s nearly impossible to experience everything at the Alaska State Fair in just one trip. If your travels bring you to Southcentral Alaska between August 25 and September 5, you won’t regret making a stop at the fair (at least once)! The seaside town of Seward takes Independence Day celebrations very seriously. The festivities kick off at midnight on July 4 with an impressive fireworks show and continue throughout the day with a parade down Main Street and street vendors gathered along historic downtown Seward. If you visit Seward on July 4, expect a crowd. The population grows from about 2,500 on a regular basis to about 30,000 people over the weekend. Many of them are spectators or participants of the Mount Marathon Race, a grueling race up and then back down the challenging course of Seward’s Mount Marathon.